Imagine if you were the very last surviving member of your tribe. You’ve been hiding in the wilderness for decades. But even there, the modern age manages to creep in. Eventually, it becomes impossible to continue living the way your ancestors did. What would you do then? One beautiful summer day in 1911, Ishi abruptly comes walking into the 20st century. Straight out of the wilderness. He is an instant sensation – not just because he’s so good at shooting arrows and making fire, but also because he’s such an incredibly sweet, civilized man. ISHI A bit of native wisdom begins where our play MARS! ended; our view of earth, our extraordinary planet. 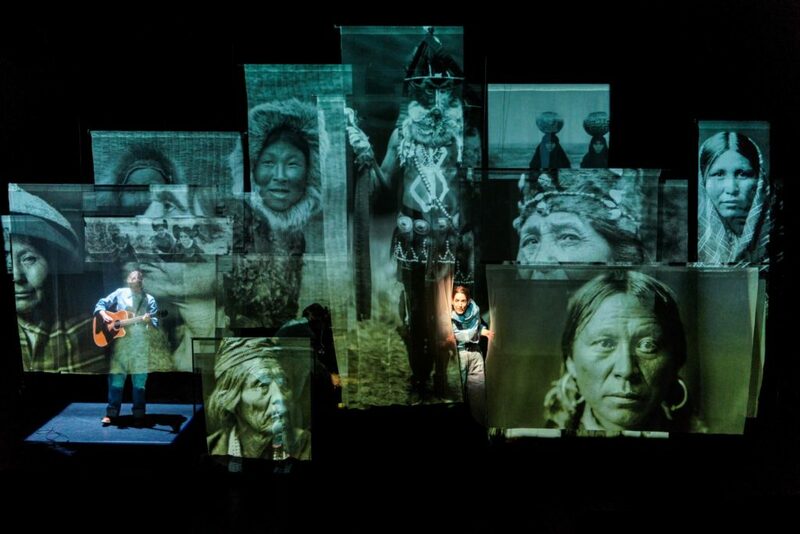 The play is inspired in part by the real-life story of Ishi, the last surviving Yahi Indian. It is our great pleasure to introduce in it the amazingly talented singer–songwriter Jasmin Godoy, who has created gorgeous songs with Brazilian influences for the production. She is accompanied onstage by two actors who, with unwavering energy, sing, act and narrate this incredible story.